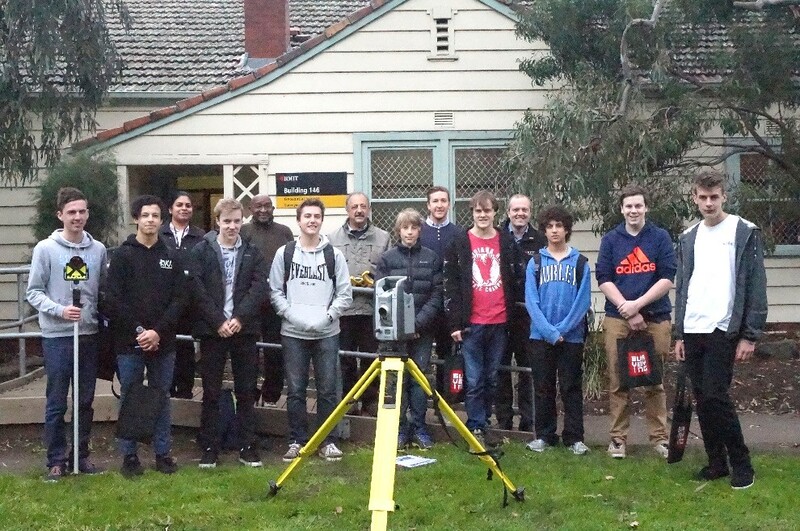 Students from across Victoria recently had their first taste of surveying at the RMIT Experience Surveying day, on the 9th of July at the RMIT University Field Station, Yarra Bend Park. With the help of qualified surveyors and RMIT staff, students performed activities such as measuring the height of the Eureka tower, the angles of a triangle, and the distance of a discus throw, using professional surveying equipment. Students also learned how to set up a total station and reduce fieldwork into Liscad surveying and engineering software. These hands-on exercises helped students understand how the maths they are learning at school can be applied in practical situations. It also gave students a feel for the everyday work surveyors do, sparking interest in a career in the profession for those who attended. If you enjoy maths and science and like working outdoors, a career in surveying may be the perfect fit. To find out more about surveying events, work experience placements, and study pathways register here.